Department of Anatomy 1, Bharath University, Vivekanandha Dental College for Women, Tiruchengode, Namakkal - 637207, Tamil Nadu, India. Department of Anatomy 2, Karpaga Vinayaga Institute of Medical Sciences, Maduranthagam, Chennai - 600024, Tamil Nadu, India. ABSTRACT: The ancient medicine acupuncture was used to treat the diabetes and its complications. Our study was aimed to find out the hypoglycemic effect of Acu-TENS electrical stimulation at bilateral Zusanli (ST36) acupoint in streptozotocin (45 mg/kg/body weight/IP) induced diabetic rats. Diabetes was induced in male albino wistar rats with the administration of single dose of streptozotocin(45mg/kg/body weight/IP). The fasting blood glucose level, body weight, food and water intake were assessed periodically in the experimental animals and its effect was compared with conventional anti-diabetic drug (pioglitazone7.5 mg/kg/body weight). Zusanli acupoints was stimulated with 15HZ of 15MA high intensity and 5 sec pulse width for 5 minutes daily without anaesthesia for 60 days. Acupoint ST36 shows significant reduction (p≤0.01) in blood glucose level and also restored the body weight, food and water intake in treated rats and compared with anti-diabetic drug. The hypoglycemic effect of ST36 acupoint may be due stimulation of energy flow Qi to balance Yin and Yang and utilization of energy due to mild muscle twitching during stimulation. INTRODUCTION: Diabetes Mellitus (DM) is a metabolic disorder characterised by hyperglycemia (increase blood glucose) with abnormalities of metabolism of carbohydrates, protein and fat due to absolute or relative deficiency of insulin secretion and varying degree of insulin resistance. The long term complications of diabetes are micro-vascular diseases (Retinopathy, Nephropathy, Neuropathy), macro-vascular diseases (dyslipidemia, hyper-tension, coronary heart disease, stroke, peripheral vascular disease) and diabetic foot disorders 1 and extremely costly in terms of longevity and quality of life 2. Its global prevalence was about 8% in 2011 and is predicted to rise to 10% in 2030 3. Type 2 (Non Insulin Dependent Diabetes Mellitus), adult onset with the age group of >40 years, occurs due to combination of insulin resistance and beta cell failure, which accounts for 85 - 95% of diabetes. An important specific risk factor for type 2 diabetes is obesity and physical inactivity. Methods for controlling plasma glucose levels in patients with diabetes include diet control, exercise and medication. While medical treatment is convenient and effective, certain treatment can leads to serious side effects 4. Patients with poorly controlled type 2 diabetes who frequently use oral hypoglycemic agents often present with unstable glucose levels 5. Researchers have, therefore, searched for mild or complementary treatment methods with no side effects to increase insulin sensitivity 6. Herbal medicine, dietary supplementation, yoga therapy, hot tub therapy and acupuncture therapy have been researched and explained the mechanism of anti-diabetic effects 7. These therapies have become increasingly popular for last several years due to less adverse effects. Acupuncture, one of the oldest and most commonly used forms of alternative medicine has existed for more than 2500 years. Acupuncture therapy, though a traditional Chinese Medicine (TCM), now-a-days practiced all over the world mainly in U.S, Japan, Korea and India 8. The effectiveness of acupuncture in diabetes have observed both reducing the symptoms and long term complications of diabetes. According to the theory of ancient medicine, health is a state of balance between Yin and Yang, Qi and Xue and five elements of wood, fire, earth, metal and water 9. Qi or life energy flows through the body in hypothesized channels called meridians and may be accessed at several hundred points. The traditional theory of acupuncture is based on the concept that an imbalance of yang and yin, through the meridians, can be corrected by manipulation of identifiable points close to the skin. Each acupoint has distinct therapeutic actions. The stimulation of acupoints can be achieved by either a mechanical action of needling or electrical point stimulation 10. Acupuncture therapy may be effective in treating not only diabetes, but also in preventing and managing complications of diabetes 11. The effects of acupuncture on diabetes have been observed experimentally and clinically 12. Acupuncture can act on the pancreas to enhance insulin synthesis, increase the number of receptors on target cells, and accelerate the utilisation of glucose resulting in lowering of blood sugar 13. Data from other studies have shown the beneficial anti-obesity effect of acupuncture, which is the most modifiable risk factor for type 2 diabetes. It appears that the therapeutic effect of acupuncture on diabetes is not the result of its action on one single organ, but on multiple systems 14. Electro acupuncture (EA) is commonly used to stimulate the acupoints, an invasive technique with needle than manually. In this study, first time we shown that transcutaneous electric nerve stimulation at acupoints (Acu-TENS) therapy, an non invasive method was selected to stimulate the acupoints, combines the advantages of electrical stimulation and acupuncture therapy. There are several acupoints to treat the diabetes. The objective of this present study was to describe the effect of Zusanli (ST36) acupoints on blood glucose, body weight, food and water intake in normal and STZ- induced diabetic rats. Animal: Male albino Wistar rats (200-250 gm) were used for the study. They were well ventilated and housed at a controlled temperature with 12 h light and dark cycles. Animals are fed with standard laboratory diet and water was given with ad libitum. Periodically assessed and compared the fasting blood glucose, food and water intakes of the rats. Study Design: Animals were divided into four groups with six animals in each group. The group I were normal rats. Group II rats were induced diabetes with single dose of STZ (45 mg/kg/body weight) intraperitoneally. The induction of diabetes was conformed after 72 h by estimation of elevated fasting blood glucose level above ≥250 mg/dl included in the study. Group III of rats received STZ and treated with pioglitazone (7.5 mg/kg/body weight) given intra orally daily. Group IV of rats received STZ and treated with Zusanli acupoint stimulation. Electrical stimulation was carried out for 3-5 min daily at frequency of 15Hz, pulse width 5s, intensity 15mA, using Acu-TENS unit. The positive and negative charges are given through electrodes to the right and left Zusanli acupoints (ST36), respectively. The experiment was carried out for 60 days and blood sample was collected by retro-orbital venous puncture. Fasting blood glucose was measured and compared periodically between the study groups. The body weight, water and food intake of rats were also measured and compared routine. This study was approved by Institutional Animal Ethical Committee (Reg.no, 889/po/ac/05/ CPCSEA /2011) of Swamy Vivekandha College of Pharmacy, Elayampalayam, Tiruchengode. Statistical Analysis: The results were expressed as Mean± SD. The fasting blood glucose level were analysed by one-way ANOVA followed by Tukey post hoc test. The value of p≤ 0.01 was considered as statistically significant. RESULTS: A steady decrease and significant reduction of fasting blood glucose with (p≤0.01) was observed in ST36 acupoint treated diabetic rats. The bilateral ST36 acupoint stimulation was restored the body weight in diabetic rats and Fig. 2 and 3 shows the significant reduction of food and water intake of ST36 treated diabetic rats. The results were expressed as Mean± SD. Comparison was done with one way ANOVA and Tukey test with (p≤0.01) to control and diabetic group. DISCUSSION: In recent years, acupuncture therapy has spread throughout the World. Various chronic illness can be effectively treated with acupuncture by inserting fine needles into the specific acupoints on the skin of the patients. The main concept of acupuncture is to stimulate Chi (life energy) through around 365 acupoints within 12 meridians in our body. In this study, we found that Acu-TENS therapy at Zusanli acupoints resulted in significant reduction in fasting blood glucose level in streptozotocin induced type 2 diabetic rats. Diabetes is one of a major public health problem Worldwide. But for patient everyday medication and insulin was economically high compared to acupuncture treatment. Many of the patient now-a-days showing interest towards the alternative medicine mainly acupuncture therapy. There are numerous specific acupoints to treat diabetes but in several studies Zusanli(ST 36) and Zhongwan (CV12) acupoints were commonly selected and proved the effectiveness of electrical acupuncture therapy in type 2 diabetes. Dr. Mehmet and Cho Sha et al., explained electro acupuncture has a significant influence in lower blood glucose levels of type 2 DM, lowering cholesterol level, decreasing free-fatty acid, eleminating diabetic neuropathy and lowering body mass index 15, 16. Fengxia Liang et al., explained the hypoglycemic effect with low frequency (3HZ) electro acupuncture stimulation at ST36/Zusanli acupoint in type 2 diabetic mice 17. In our study, we found that the hypoglycemic effect of Zusanli acupoint in diabetic rats. Hui- Ching Pai et al., study shows EA (15HZ) at bilateral Zusanli (ST36) acupoint stimulation with rosiglitazone proves hypoglycemic effect due to an increase in insulin secretion and through mediation of β- endorphin in normal and STZ-induced type 2 diabetic rats 18. In this study, we stimulated Zusanli acupoint with Acu-TENS apparatus and found the significant reduction of fasting blood glucose and compared with pioglitazone. Yu-Chen Lee et al., explained electroacupuncture at the ST36 acupoint produces hypoglycemic effect due to stimulation of cholinergic nerve in STZ- induced diabetic rats 5. In our study shows the Acu-TENS apparatus to stimulate the Zusanli acupoint reduces the blood glucose level may be due to selective stimulation of muscle contraction in STZ induced diabetic rats. According to Chung-Yuh Tzeng et al., explained intracellular signalling pathways associated with glucose- lowering effect of ST36 electro acupuncture in STZ- induced diabetic rats 19. In our study using Accu-Stimulator apparatus shows the reduction of fasting blood glucose and it was already stated P. V. Ingle et al., the decrease in fasting blood glucose and lower level of TC, TG, LDL and increase HDL with stimulation of ST36 acupoint with Accu-stimulator apparatus in type 2 diabetes 20. According to the traditional Chinese medicine, the acupuncture therapy can be practiced either manual or electrical with Acu needles. Zhi-Qi-Zhao et al., mentioned that in electro acupuncture, stimulating current is delivered to acupoints via the acu needles connected to an electrical stimulator. Instead of insertion of acupuncture needles, a surface electrode on the skin over the acupoints is also described as electroacupuncture 10. Hence, in our study, we selected Acu-TENS apparatus to stimulate the Zusanli (ST36) acupoints acupoint with surface electrode in rats which results a hypoglycemic effect. Wu Zhiyuan et al., explained the effect of TENS at specific acupoints (LI11, LI4, ST36, SP6) on type 2 diabetes patients for 30 min for each session and 5 times a week for 2 months. In our study, stimulation of Zusanli acupoint for 5 minutes daily for 60 day treatment in diabetic rats shows a significant decrease in fasting blood glucose level (FBG). The Acu-TENS, a non-invasive technique having the beneficial effect to prevent risk of infection especially to the diabetic patients 21, 22. Some previous research shows that the transcutaneous electrical muscle stimulation with a low stimulation frequency could be effective method to enhance glucose metabolism 23, 24. We selected Acu-TENS stimulator due its combined effect of both electrical and acupoints stimulation. Wu Zhiyuan et al., explained treatment with Acu-TENS (10 HZ for 30 min) at acupoints in type 2 diabetes patients produced a beneficial effect on blood glucose level 25. Catalogna et al., explained utilization of glucose and improve hepatic insulin sensitivity in rats with peripheral electrical stimulation (PES) treatment with 2-3 minutes 26. In this study Acu-TENS with the frequency of 15 HZ (low frequency) produced a positive effect in reducing blood glucose level in type 2 diabetes. Hence, the result of the present study suggests that the non invasive acupuncture therapy is beneficial and cost-effective treatment for the elderly type 2 diabetes mellitus patient. CONCLUSION: The main advantages of Acu-TENS therapy with low frequency and high intensity electrical stimulation at bilateral ST36 acupoint causes muscle contraction and mild muscular twitching which was similar to that of physiological process of physical exercise. Hence, this technique is used to the elderly diabetes patients who were not able to perform physical exercise. We suggest Acu-TENS therapy be a beneficial and economical non-invasive alternative therapy for diabetic patients not only to control diabetes but also to prevent its complication. Subbulakshmi, Sivakumar G and Murthy SSN: Effect of Acu-TENS therapy on Zhongwan (CV12) acupoint in streptozotocin induced diabetes rats. International Journal of Pharma and Bio Sciences 2017; 8(3): 1053-1058. Murthy SSN and Felicia C: Antidiabetic activity of musa sapientum fruit peel extract on streptozotocin induced diabetic rats. International Journal of Pharma and Bio Sciences 2015; 6(1): 537- 543. Akter S, Rahman MM, Abe SK, and Sultana P: Bullietein of the World Health Organisation 2014; 92: 204-213. Sheikhrabori A, Dehghan M, Ghaedi F and Khademi GR: Complementary and Alternative medicine usage and its determinant factors among Diabetic patients: An Iranian case. Journal of Evidence Based Complementary and Alternative medicine 2017; 22(3): 449-454. Lee YC, Li TM, Tzeng CY, Chen YI, Ho WJ, Lin JG and Chang SL: Electroacupuncture at the Zusanli (ST36) Acupoint induces a hypoglycemic effect by stimulating the cholinergic nerve in a rat model of streptozotocine-induced insulin-dependent diabetes mellitus. Evidence-Based Complementary and Alternative Medicine 2011; 1-6. Ishizaki N, Okushi N, Yano T and Yamamura Y: Improvement in glucose tolerance as a result of enchanced insulin sensitivity during electroacupuncture in spontaneously diabetic Goto-Kakizaki rats. Metabolism 2009; 58(10): 1372-1378. Pandey A, Tripathi P, Pandey R, Srivatava R and Goswami S: Alternative therapies useful in the management of diabetes: A Systematic review. Journal of Pharmacy and Bioallied Sciences 2011; 3(4): 504-512. Fitrullah and Rousdy A: Effectiveness of acupressure at the Zusanli (ST36) acupoint as a comfortable treatment for diabetes mellitus: A Pilot study in Indonesia. Journal of Acupuncture and Meridian studies 2017; 10(2): 96-103. Connelly DM: Traditional Acupuncture: The law of the five elements. Columbia, MD: Traditional Acupuncture Institute, 1994. Zhao ZQ: Neural mechanism underlying acupuncture analgesia. Progress in Neurobiology 2008; 85: 355-375. Muthukumar: Treatment of diabetes through acupuncture. 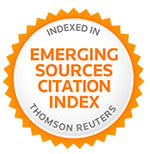 International Journal of Social science and Interdisciplinary Research 2013; 2(2): 175-188. Nakamura H, Ishigami T, Kawase Y, Yamada A, Minagawa M, Fukuta H, Kurono Y and Suzuki H: Effects of acupuncture stimulation on blood glucose concentration in the Otsuka Long Evans Tokushima fatty(OLETF) rat, an animal model for type-2 diabetes mellitus. Medical Science Monitor Basic Research 2014; 20: 70-75. Lin RT, Tzeng CY, Lee YC, Chen YI, Hsu TH, Lin JG, and Chang SL: Acupoint-specific, frequency-dependent and improved insulin sensitivity hypoglycemic effect of Electro-acupuncture applied to drug combined therapy studied by a Randomised control clinical trial. Evidence-Based Complementary and Alternative Med 2014; 1-9. Peplow PV and Baxter GD: Electroacupuncture for control of blood glucose in diabetes: Literature review. Journal of Acupuncture and Meridian studies 2012; 5(1): 1-10. Cabioglu MT and Ergene N: Changes in levels of serum Insulin, C-Peptide and glucose after Electroacupuncture and Diet Therapy in obese Women. The American Journal of Chinese Medicine 2006; 34(3): 367-376. Cho SH et al. : Acupuncture for obesity: a systematic review and meta-analysis. International Journal of Obesity 2009; 33: 183-196. Liang F, Chen R, Nakagawa A, Nishizawa M, Tsuda S, Wang H and Koya D: Low- frequency electroacupuncture improves insulin sensitivity in obese diabetic mice through activation of SIRT1/PGC-1α in skeletal muscle. Evidence-Based Complementary and Alter Med 2010; 2011: 1-9. Pai HC, Tzeng CY, Lee YC, Chang CH, Lin JG, Cheng JT and Chang SL: Increase in plasma glucose lowering action of Rosiglitazone by Electroacupuncture at bilateral Zusanli Acupoint (ST36) in rats. Journal of Acupuncture and Meridian Studies 2009; 2(2): 147-151. Tzeng CY, Lee YC, Ho TY, Chen YI, Hsu TH, Lin JG, Lee KR and Chang SL: Intracellular signaling pathways associated with the glucose- lowering effect of ST36 electroacupuncture in streptozotocin-induced diabetic rats. Acupuncture in Medicine 2015; 0: 1-5. Ingle PV, Samdani NR, Patil PH, Pardeshi MS and Surana SJ: Application of acupuncture therapy in type 2 diabetes mellitus patients. 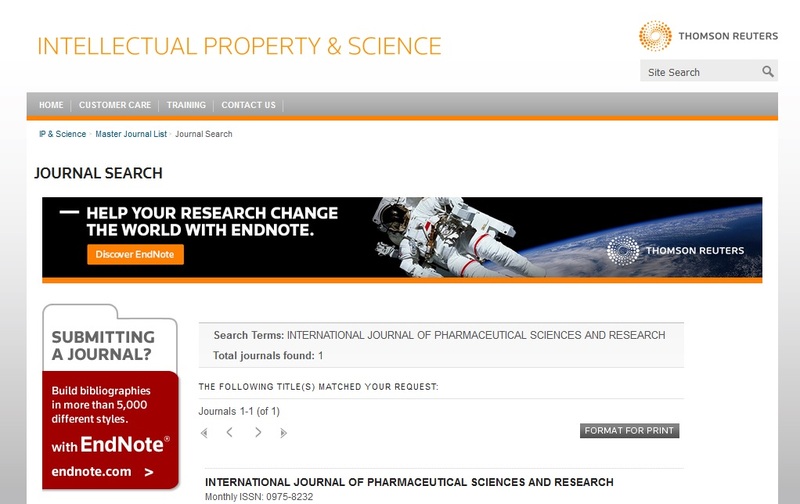 An International Journal of Pharmaceutical Sciences 2011; 2(1): 18-26. Liang F and Koya D: Acupuncture: is it effective for treatment of insulin resistance?. Diabetes Obesity and Metabolism 2010; 12(7): 555-69. Xu S, Wang L, Cooper E, Zhang M, Manheimer E, Berman B, Shen X and Lao L: Adverse Events of Acupuncture: A Systematic Review of Case Reports. Evidence-Based Complementary and Alternative Medicine 2013; 1-15. Greenway F and Zheng J: Electrical stimulation as treatment for obesity and diabetes. Journal of Diabetes Science and Technology 2007; 1(2): 251-59. Hamada T, Hayashi T, Kimura T, Nakao K and Moritani T: Electrical stimulation of human lower extremities enhances energy consumption, carbohydrate oxidation, and whole body glucoseuptake. Journal of Applied Physiology 2004; 96(3): 911-16. Zhiyuan W, Ming Y, Jie J, Yi W, Tiansheng H, Mingfen L, Zhijie H, Zhenzhen G and Pang LMC: Effect of transcutaneous electrical nerve stimulation at acupoints on patients with type 2 DM: a randomised controlled trial. Journal of Traditional Chinese Med 2015; 35(2): 134-140. Catalogna M, Fishman S, Halpern Z, Ben-Shlomo S, Nevo U and Ben-Jacob E: Regulation of glucose dynamics by noninvasive peripheral electrical stimulation in normal and insulin-resistant rats. Metabolism 2016; 65(6): 863-73. Subbulakshmi R, Sivakumar G and Murthy SN: Acu-tens stimulation at bilateral zusanli (ST36) acupoint in streptozotocin induced diabetic rats. Int J Pharm Sci & Res 2018; 9(11): 4770-74. doi: 10.13040/IJPSR.0975-8232.9(11).4770-74. Authors Address: Department of Anatomy, Bharath University, Vivekanandha Dental College for Women, Tiruchengode, Namakkal, Tamil Nadu, India.